The headline sounds hauntingly familiar, doesn’t it? 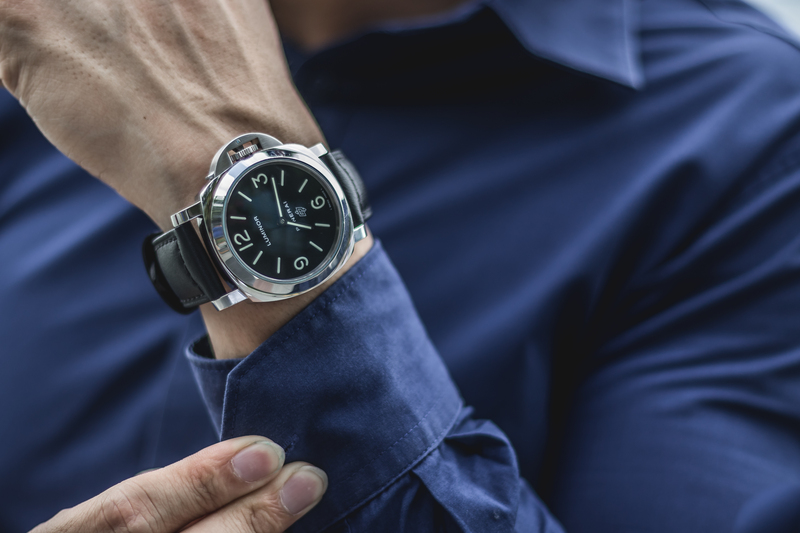 Last month, we chatted with the founders of TenTwo Club, a watch subscription service based in Singapore, about its business. That story received quite a bit of attention and also led us to a similar business, Acquired Time, which is probably the local pioneer in this field. Started by two men in the business and finance industries, Acquired Time also provides its users with a luxury watch every month for a recurring monthly fee during the period of their subscription. We spoke to co-founder Roy Tong (below) about Acquired Time. How has the response been like from the Singapore market? Response has been fantastic. I think part of our marketing plan is getting the message out there that Acquired Time is not just a conventional rental service. It is a service that is moving in the direction of a growing sharing economy of which Singapore, Asia and the world is accepting. I think that this “stigma” is something that is going to be overcome in the immediate future and the signs are very encouraging – we have enquiries daily, and a robust customer waiting list that we are making priority number one to fill. We currently have around 10 to 15 watches in the inventory at any time and these include brands such as AP, Rolex, Panerai, IWC and even women’s brands such as Chanel. We have subscribers that have completed their subscription with us and those that have extended or repeated. How did the idea for Acquired Time come about and when was it officially launched? My co-founder and I met through a mutual friend from secondary school and at that point I was looking to purchase my first watch. He was wearing a piece from Audemars Piguet and we got to talking about it. Being an avid collector and knowledgeable horologist, he shared his experiences with his first watch, and had suggested a few pieces. A sticking point for me was that there was no way for me to “test-drive” a piece before I sunk a hefty amount of money into it – the fear of buyer’s remorse. My co-founder agreed that this was a problem that a lot of people faced, and suggested that there was a void in Singapore’s watch market that we could fill with a simple solution – a service where people could lease timepieces and feel it on their wrist before making a purchase decision. Coming from a finance background, I ran the numbers on a business like this and found that the returns made sense and we decided to venture into business together. We first spoke of the idea in 2016, and registered the company in June 2017. We started out with “one-off rentals” for either a weekend or a week, but I decided to switch to a monthly subscription model which increased customer stickiness and lowered daily rates drastically. This began in Sep 2017 and with this model one could get a Rolex on their wrist for as low as $7.50 a day versus $38/day as we used to price. There is an agreement with your members to ensure that the watch is returned in good condition. Do you think that might be a deterrent to people from signing up? After all, watches do go through a bit of wear and tear if you wear them every day for a month. The loss or damage question is both the first question and the one I get asked the most when I tell someone about Acquired Time. Theoretically, one would imagine the biggest challenge of this business is keeping tabs on the timepieces that are leased out for loss or damage. We have found this to be minimised by the due diligence process we have and the fact that the people in the country that we deal with take pride in treating our timepieces as if they were their own. We do not charge our subscribers for basic wear and tear like hairline scratches or anything that can be polished off or does not affect the market resale value of the watches – so we do not see this as a deterrent to subscribers, as a matter of fact, fuss-free usage is part of our value proposition and subscribers do not worry about maintenance etc as long as a minimal level of care is afforded to the watch they lease. After all, it’s good practice for when they own their own watch! What happens if a member would like to stop the subscription before six months? We have had various promotions at different points in time where we offered minimum two- or three-month subscriptions because we have confidence that the clients would be impressed enough with our service to continue on to the six-month mark. Our clients that have hit the six-month mark are on a month on month basis. However, once a client makes a commitment of six months, we would definitely prefer if they kept to their end of the bargain but being a luxury service, we strive to take into consideration the clients’ rationale for wanting to stop their subscription before six months on a case by case basis. We have not experienced this thus far but as it stands I would like to cater to the clients’ needs as much as possible while protecting ourselves simultaneously. What if a member wants to upgrade or downgrade to different tiers? Simple – we’d adjust the monthly pricing accordingly. A great customer experience is of immense importance to us and we would not want a client to take a piece that they do not want. Where do you envision taking the business to in the next year or so? For the moment, I want to focus on optimising our subscription service in this country and ensure that everyone that wants to use the service is able to get a timepiece that they desire on their wrist. We are also looking to partner with other Singaporean companies and have actually started partnering with StyleLease, a gown/dress rental company in Singapore, to offer women’s watches as an “upsize” of sorts to their dress rentals (more one-off rentals rather than subscription). This is probably going to take the next year or so to execute and once we are comfortable with our position in Singapore, our plan moving forward is to move into new markets such as Hong Kong. As we speak, we are already lining up interested investors and/or local partners for the Hong Kong business – we have a full 40 page investor relations pitch deck that outlines market sizing, our business plan and forecast numbers. That being said, we’d like to have all our ducks in a row before we pull the trigger and I’m very much focused on the here and now. Check out Acquired Time here.